When you need high-impact, impressive signage on the go, banner stands are the perfect product for the job. 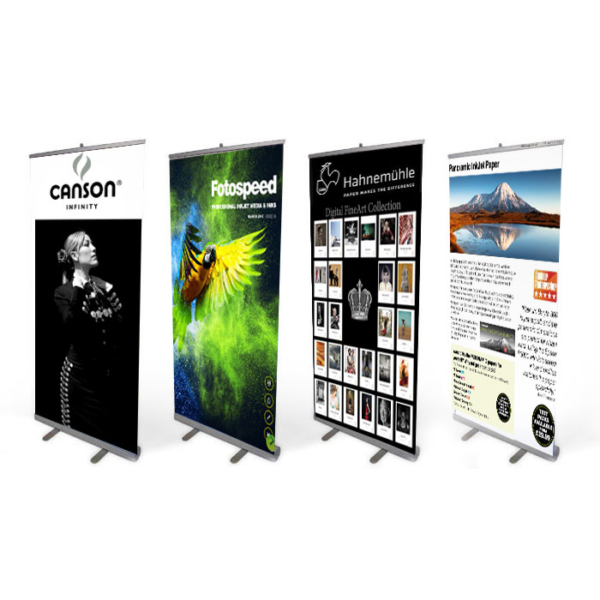 These portable displays can instantly transform any space—they’re easy to install and all come with a handy carry case, making them perfect for industry shows, conferences, trade shows and retail displays. Only £75 each. We accept JPEG, GIF and PNG formats. We recommend a file size of at least 1Mb. Uploading large file sizes may take a few minutes depending on your internet connection.